With both modern and old fashioned looks the X Back can fit in any decor - Restaurants & bars alike! 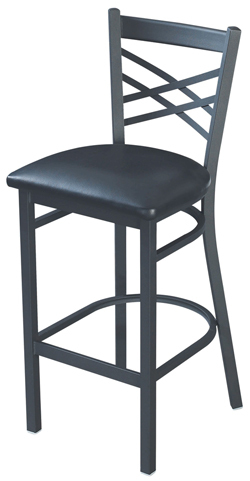 Metal bar stools are constructed with a fully welded frame and comes with an upholstered or solid wood seat*. The frame finish is powder coated and comes with plastic gliders.